The driver who is alleged to have caused the death of a woman in her 30s following an accident in Valelevu on Sunday has been further remanded in custody. Nasinu Magistrate Charles Ratakele has also transferred the case to the Suva High Court where the accused will be making an appearance on the 28th of this month. 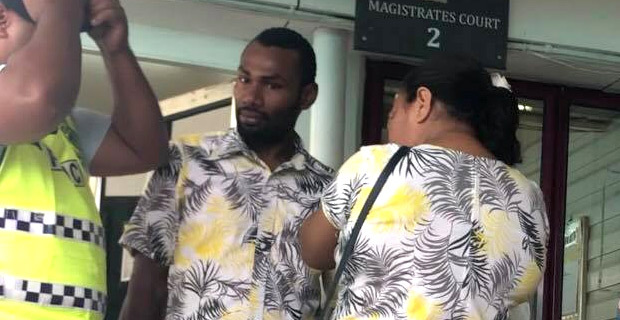 It was also heard in court today that Viliame Ratoto was disqualified from driving in July this year for six months by Magistrate Sufia Hamza for not adhering to the road rules. Ratoto is charged with one count of aggravated dangerous driving occasioning death, one count of drunk driving and two counts of dangerous driving occasioning grievous bodily harm. However the charges will be amended and a formal application to make amendments to the charges will be done later. The woman was walking with two others along Kanace Road when it is alleged that Ratoto lost control of the vehicle and ran into the three who were on the side of the road. The victim was rushed to the CWM Hospital where she was pronounced dead. Two people are still admitted in hospital. The prosecution has strongly objected to bail saying that this is an indictable offence.